Bring your very best teds and join us at the inaugural Plunket Teddy Bear’s Picnic on Quail Island! We are proud to support Plunket and the amazing work and services they provide for mum’s, babies and families in New Zealand. 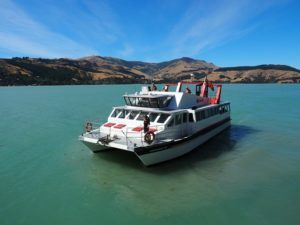 Black Cat Cruises have donated a special charter departing from Lyttelton Harbour to Quail Island on the 9th of February (rain day 10 February) at 11:15am and returning 2:30pm. All proceeds from this event go back to Plunket to support the free services they provide to the Christchurch community such as Parenting Education, Coffee Groups, Playgroups and Music and Movement Groups. These discounted ticket prices includes return boat ride and sausage, and a goody bag for each child (0 – 12 years). Adults are normally $30 each and children $15 each. The fine print: For safety reasons, there must be at least one adult available for every 3 children. There are only 80 seats on the charter. Under 2’s will be counted as 1 Child for the purposes of this trip. Quail Island in one of the best Christchurch day trips out there. Just a short 10 / 15 minute ferry ride from Lyttelton wharf, Quail Island is a wonderful destination for a family day out. There’s a walking track, old shipwrecks, and a lovely swimming beach close to the jetty so pack some drinks and snacks and of course your swimming costumes for a great family day out. This entry was posted in Lyttelton New Zealand and tagged black cat cruises, chirstchurch, event, fundraiser, lyttelton, lyttelton harbour, new zealand, picnic, plunket, quail island, quail island ferry, teddy bears picnic.